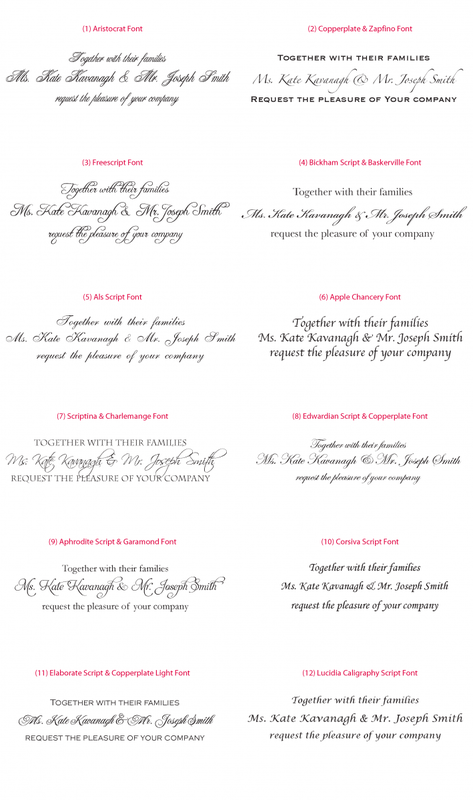 Pick your perfect font to reflect your style of invitation. Or combine any of the options below. 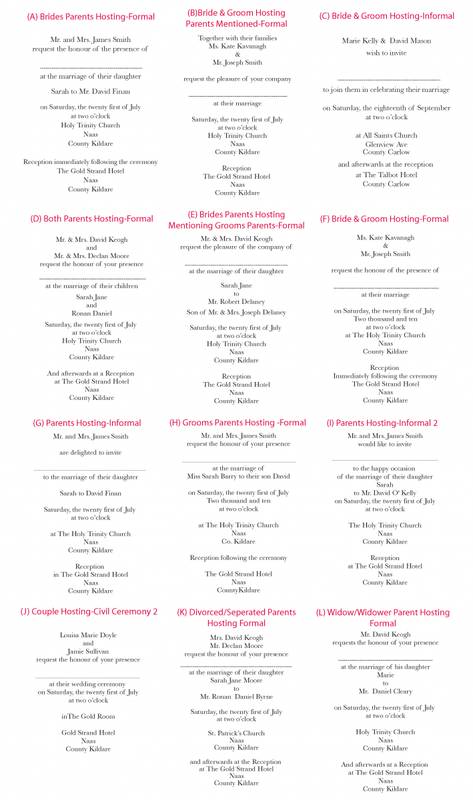 Choose from our most popular wedding invitation wording options or contact us to create your own version. 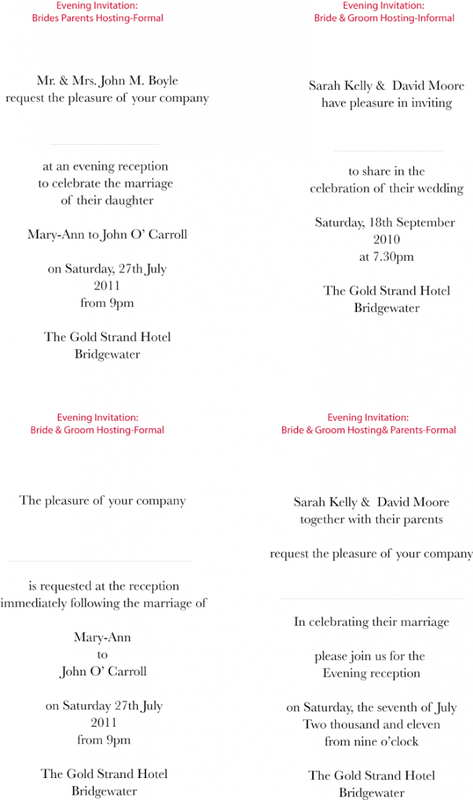 Choose from our selection Evening Invitation wording options or contact us to create your own version. 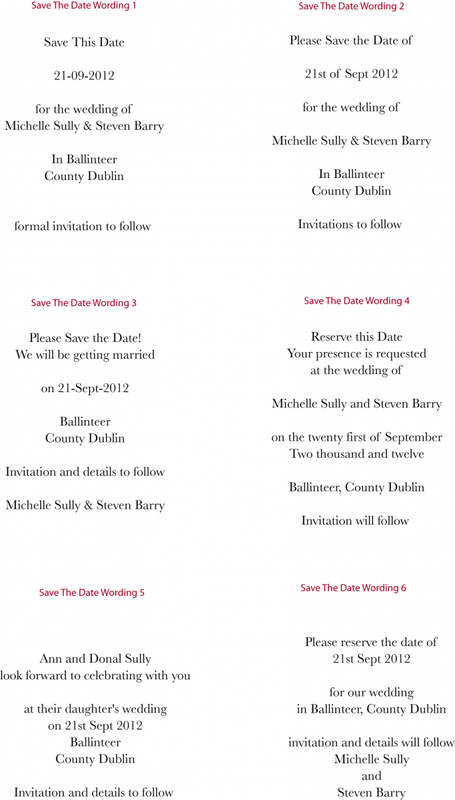 Choose from our selection of Save The Date wording options or contact us to create your own version.